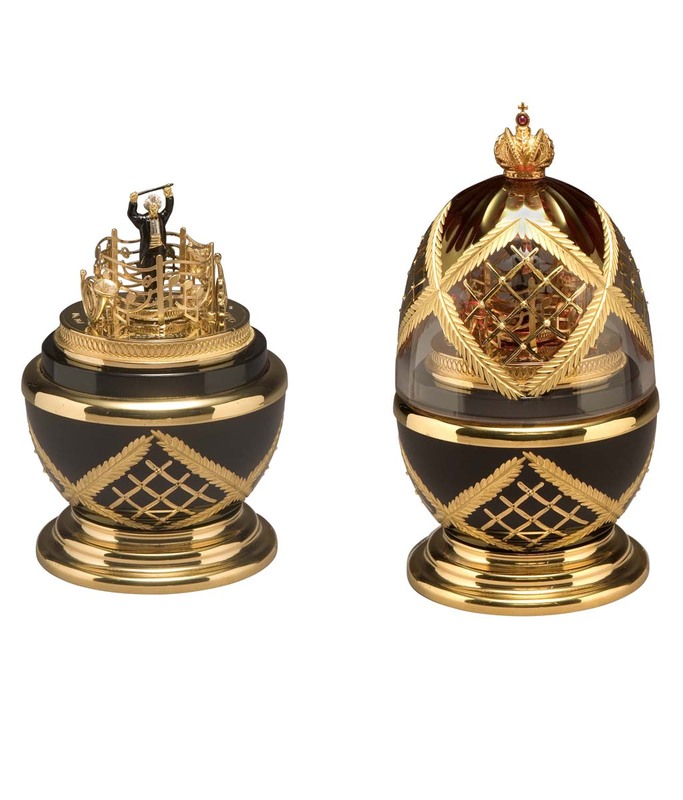 Theo Fabergé's Symphony Egg celebrates the relationship between the arts, in precious metals and crystal. In 24 carat gold on silver, the Russian Imperial Crown surmounts a mouth-blown crystal top, hand enamelled with crimson curtains and golden lattice work. The conductor stands on his silver podium, hand enamelled and with baton aloft, surrounded by the four sections of the orchestra and the score they follow. Hold the conductor's arms and with a single turn, the surprise: Tchaikovsky's Slavonic March plays, in recollection of the Court of St Petersburg. 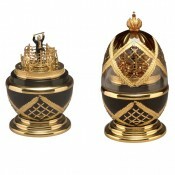 Materials: Crystal, sterling silver,24 carat gold and enamel.